You've definitely seen bloggers promoting their webinars all over the place. You probably know how great they can be. But getting started is a big scary step! Believe me, I know. I've been there. It took me way too long to get up the nerve to get started on webinars. But now that I know how to host a webinar, I love doing it, and it's growing my business. 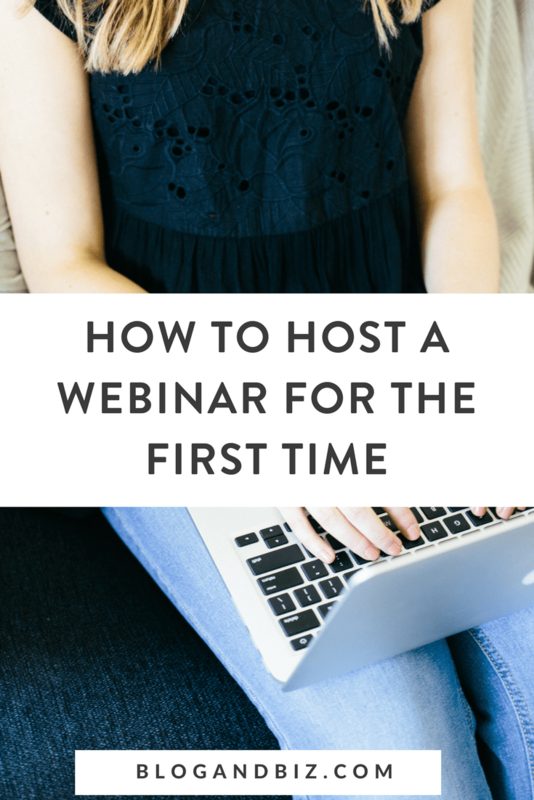 So let's talk about how to host a webinar for the first time. *This post contains affiliate links, which means that if you click a link and make a purchase, I may receive a small commission at no extra cost to you. I appreciate your support! First off, you need to pick your topic. It should be something that you can teach well in roughly 30 minutes. And it should be actionable. It's better to leave people with one small thing that they can really accomplish than 5 broad things that they can't. 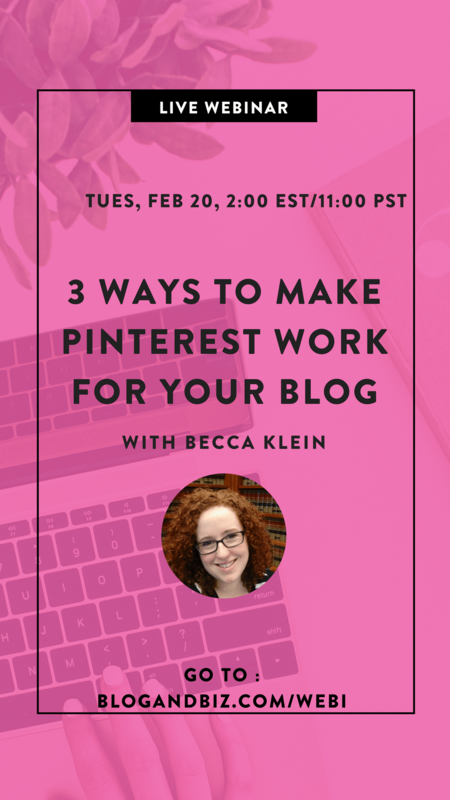 A webinar that I like to run is called “3 Ways to Grow Your Blog with Pinterest.” All of the three ways are actionable steps that my readers can take action on right away. If you're selling a product on the webinar, you'll also want your topic to lead naturally into your product. 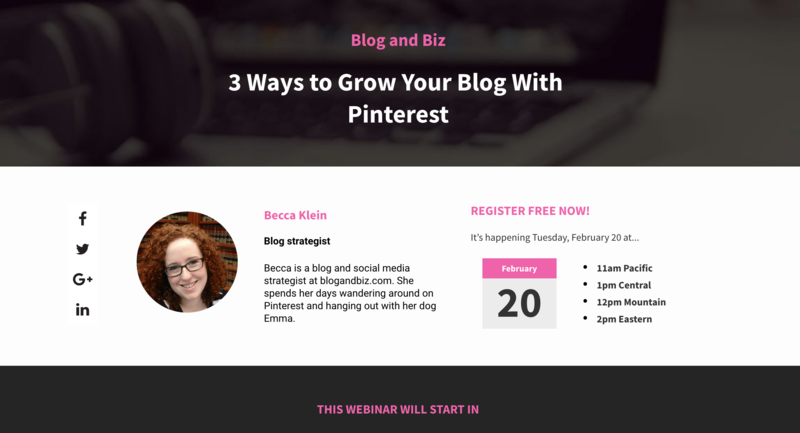 My Pinterest webinar leads into a pitch for my Pinterest course, so it works perfectly. You'll need to pick a platform to host your webinar. There are a lot of options out there, but my personal favorite is Webinar Jam. Webinar Jam is a sophisticated platform, but it's still pretty easy to use. It allows me to use my own custom pages as registration pages (more on that below), which is a big plus for me. And it integrates with Leadpages and ConvertKit. Whether you go with Webinar Jam or some other option, you'll need to get all that set up before you start promoting your webinar. You'll need a registration page and a thas thank you page (your live page will be provided by your webinar platform). If you're using a platform like Webinar Jam, they will provide pages for you, but I prefer the much more customizable pages that I can make with Leadpages. Leadpages is a highly customizable landing page builder, and they have a ton of templates for webinars and thank you pages. 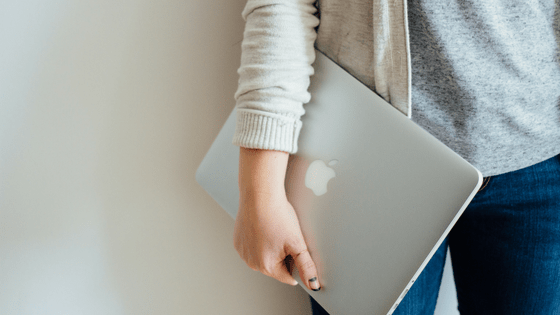 You'll want to promote your webinar to your email list and on social media (and you may also want to run Facebook ads, if it's in your budget). You'll want to send several emails to your list, starting about a week out from the webinar. You'll also want to promote on Instagram, Facebook, and Twitter. Promote it all the way up until the day of. You never know who will sign up late. Most webinar presentations will use slides. You'll want to take your time to make those ahead of time. I use Apple Keynote, but you could use PowerPoint or Google Slides as well. If you're stuck, Creative Market sells some gorgeous slide templates. When you go live you'll want to make sure that you have the right equipment. Don't use the microphone and webcam that come on your laptop. It's really worth it to upgrade. I use the ATR 2100 microphone and the Logitech C920 webcam. You can go live a few minutes before the scheduled time and chat with your audience a bit. It always helps when you can get the audience engaged. I always practice my presentation ahead of time, so I pretty much know what I'm going to say once the slides start. I spend about 15 minutes with an intro, 30 minutes teaching, 15 minutes pitching, and then a few minutes taking questions at the end. You can make that longer or shorter to suit your needs. If you're promoting a product, make sure that your live page has a button that they can click to buy. You don't want to be telling them to type in a link, there should be a button right there. I always send a few emails to webinar registrants after the webinar is over with a replay link and some reminders to buy my course (if I'm pitching it in the webinar). The details are up to you, but I would do some follow up. So that's it! And it's not so bad, right? Know you know how to host a webinar for the first time! I am terribly shy which is my downfall every time I think of putting together a webinar. I’m also a horrible public speaker hah. Hmm, you make it sound so easy. I’m going to see if I can muster up the courage for a topic I’m passionate about. You can do it! I used to think I would be too shy too, but honestly, once you start, it’s fun! Easy to follow guide… as a trainer myself i agree about the preparation bit. Great article. Very well done. WebinarJam is a great tool, I wonder if you tried EverWebinar to automate your webinar? It’s a great tool as well from the same developers as Webinarjam. Thanks for the guide, awesome work! Thanks for reading, glad you enjoyed! I do use EverWebinar, and I like it a lot. I wrote about it right here: blogandbiz.com/how-to-do-an-automated-webinar-funnel.